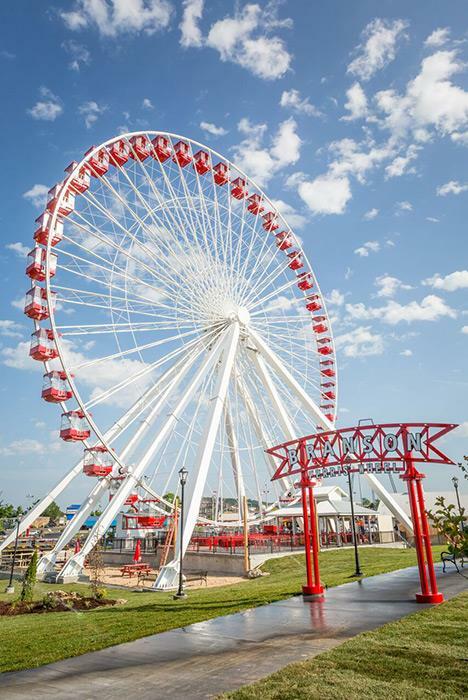 Formerly known as the Navy Pier Ferris Wheel from 1995 to 2015, the Branson Ferris Wheel has been ridden by more than 17 million passengers and counting. 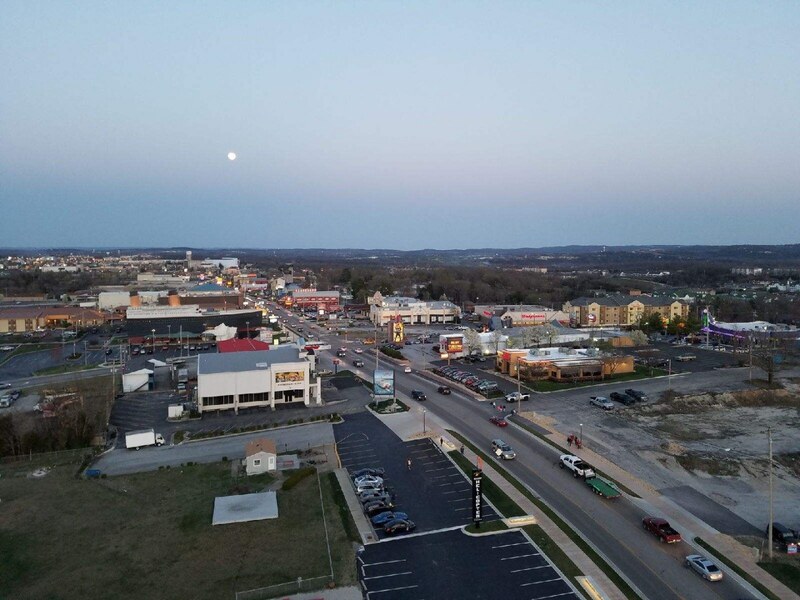 Climb aboard one of the gondolas and get ready for views of beautiful Branson, MO from 150 feet in the sky. 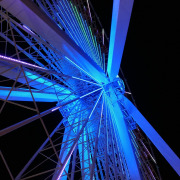 At night, the Ferris Wheel lights up for “Electrify,” a dazzling musical and light spectacular you don’t want to miss. 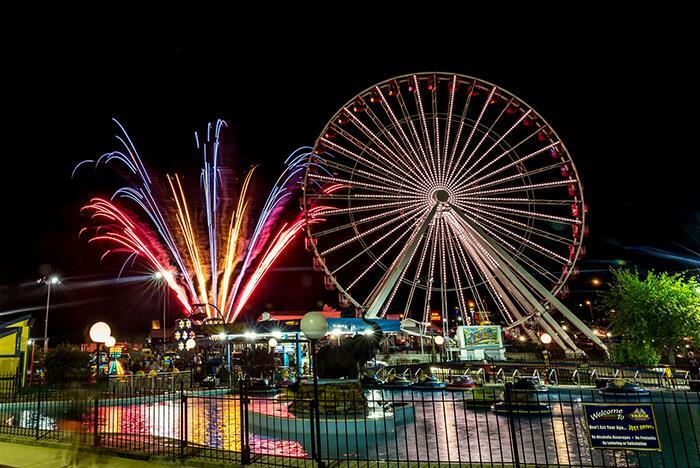 The Ferris Wheel formerly operated at Navy Pier in Chicago. 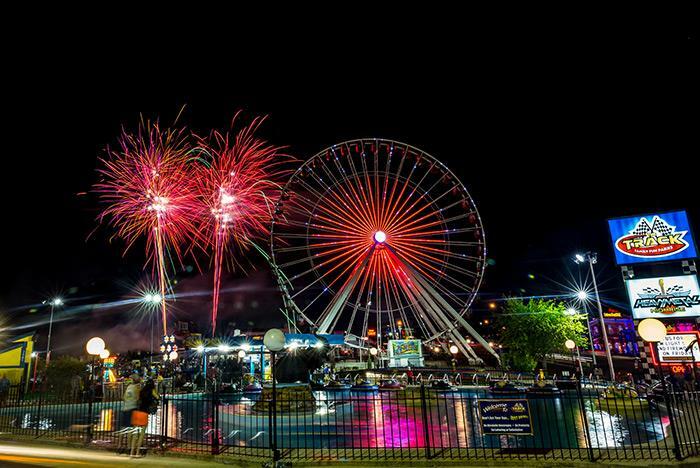 Electrify show times are at 5:00, 6:00, 7:00, 8:00, 9:00 & 10:00 pm nightly, weather permitting. 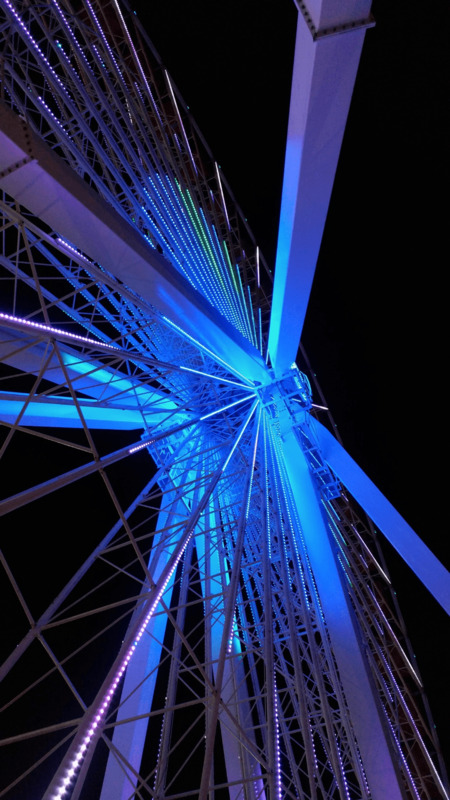 The Ferris Wheel features 40 gondolas and can accommodate up to 240 passengers at a time. 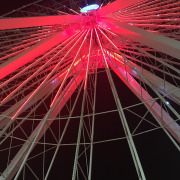 One rotation is approximately 7.5 minutes long. 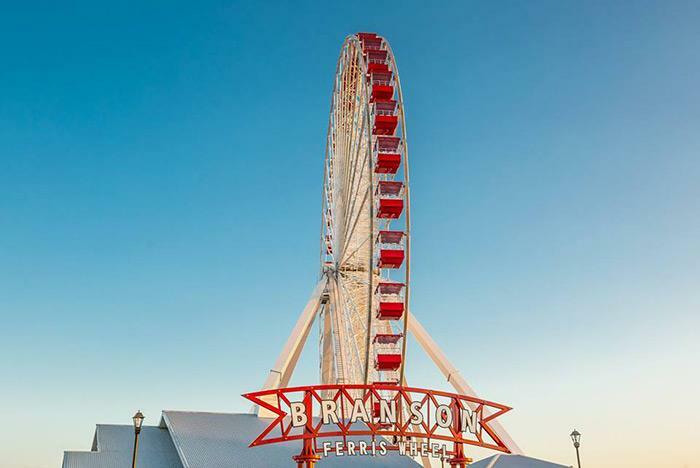 The Branson Ferris Wheel was formerly Chicago's iconic Navy Pier Ferris Wheel, ridden by nearly 17 million people from 1995 to 2015. 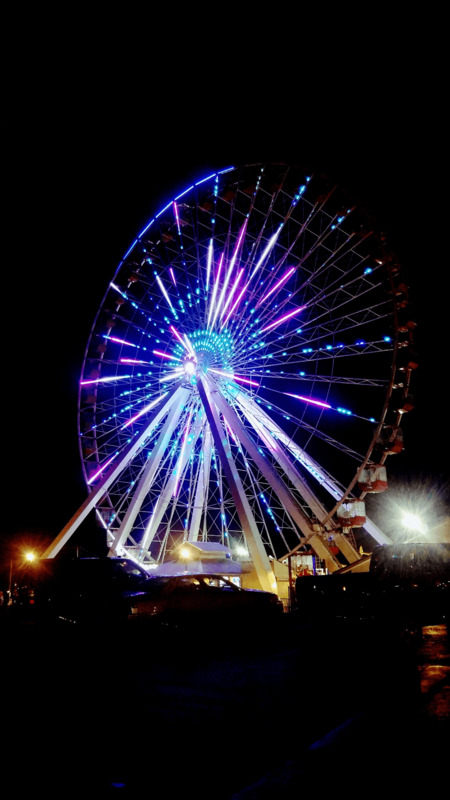 Standing 150 feet tall, its 40 gondolas hold 240 riders, and it lights up the night with 16,000 LED lights. 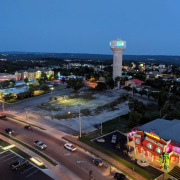 The Branson Ferris Wheel boasts spectacular views of the famed entertainment corridor and the picturesque Ozark Mountains. 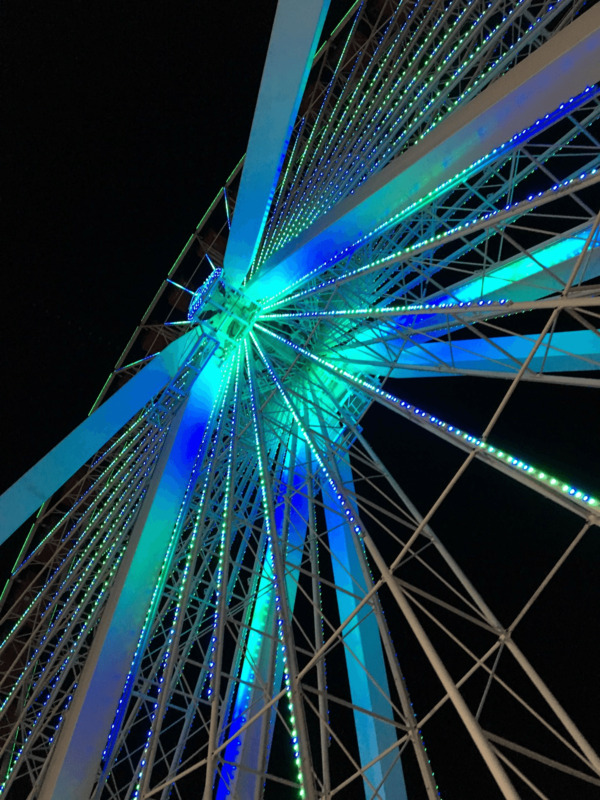 Don't miss "Electrify"-A Music and Light Spectacular! 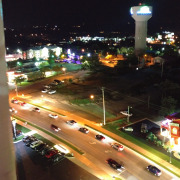 Check Electrify Showtimes at www.bransontracks.com. 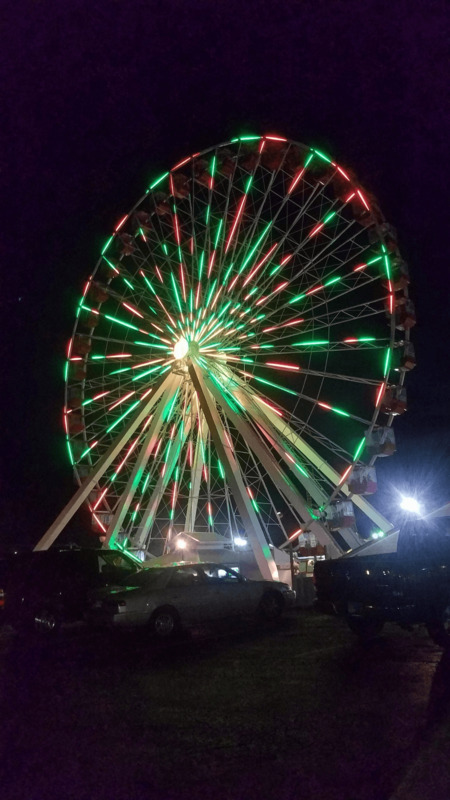 Every hour on the hour after dark! 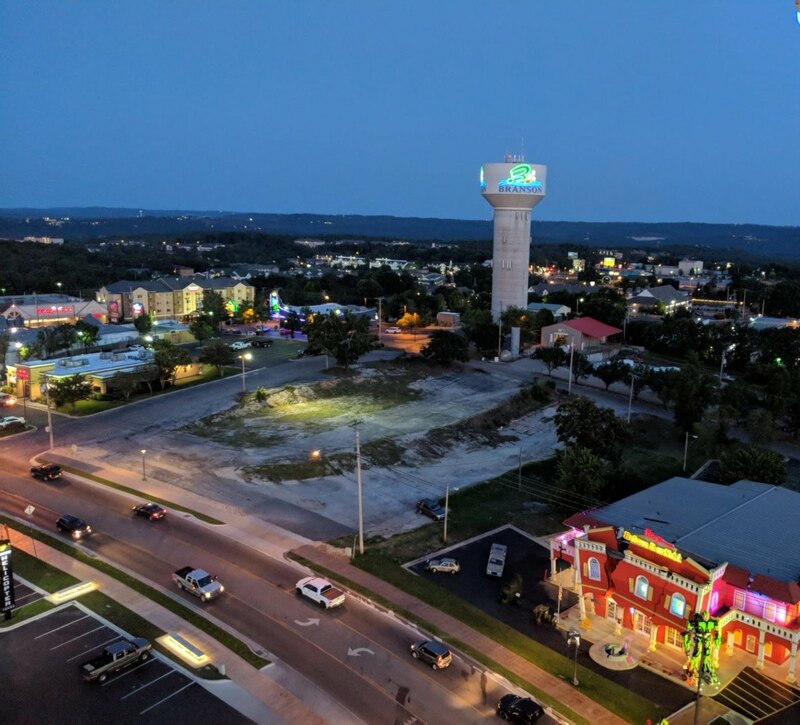 Tune into 90.9 to watch the show from your car. 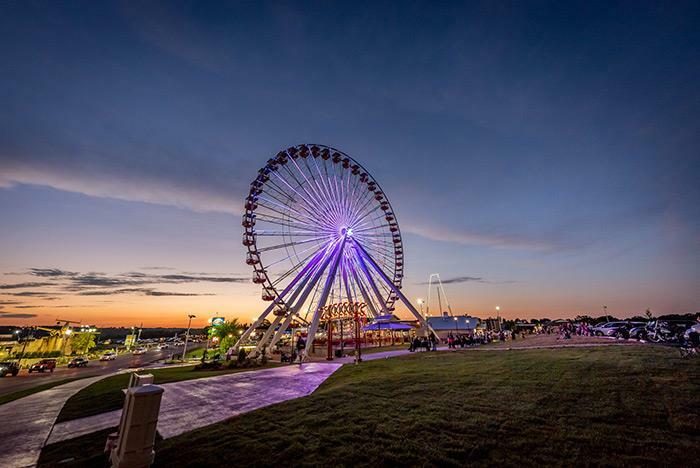 Located at Track 4, the Ferris Wheel was built in 2016 and stands 150ft high. 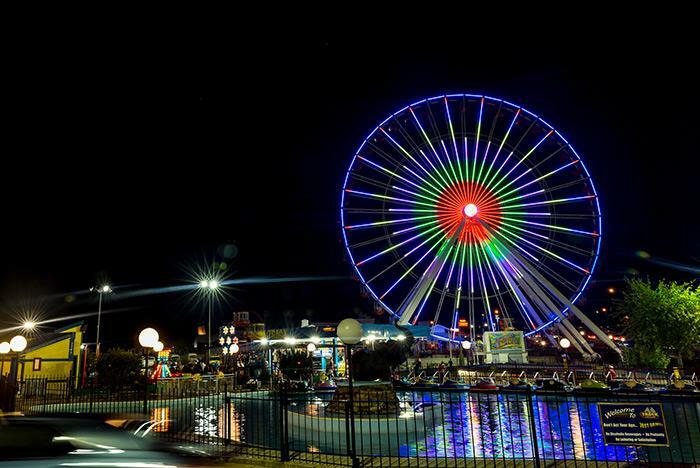 Ride Time is 15 minutes. 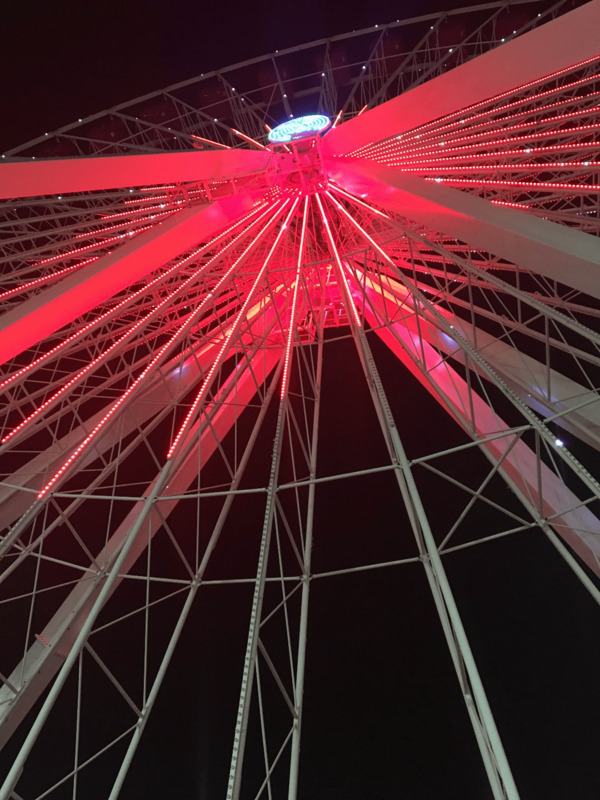 40 gondolas, 240 passengers, 6 passengers per gondola, 16,000 LED lights. 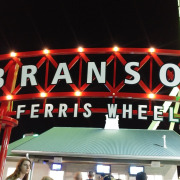 The Branson Ferris Wheel is a continuous rotation but can be stopped for guest assistance. 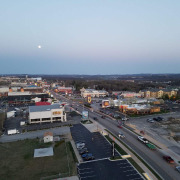 **CLOSING TIME IS APPROXIMATE AND DEPENDS ON CROWD LEVEL AND WEATHER. How many people can fit in one gondola? 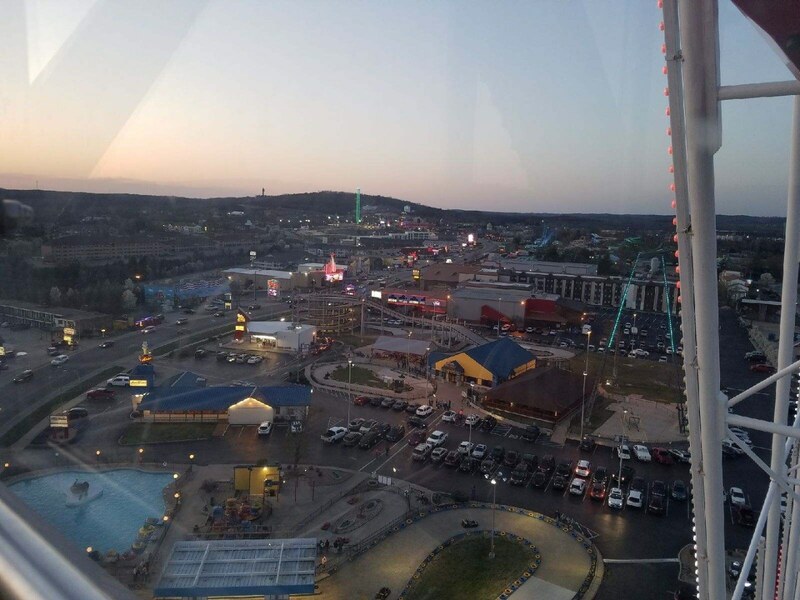 The Branson Ferris Wheel has 40 gondolas, each accommodating a maximum of 6 passengers. 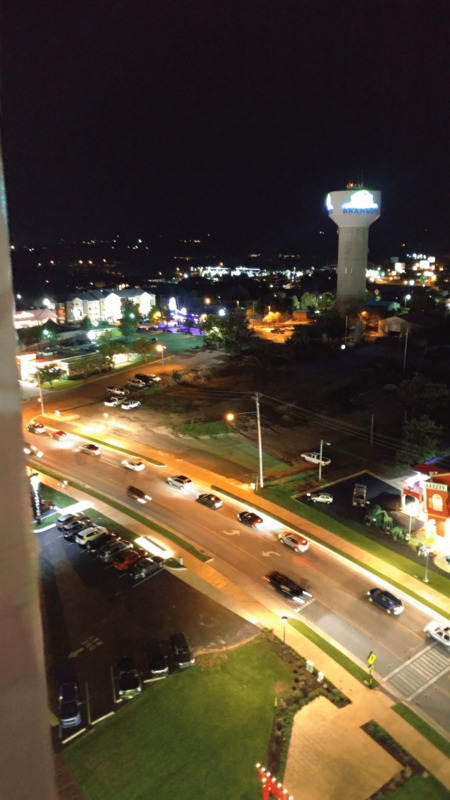 Is there a weight limit for the Branson Ferris Wheel? No. 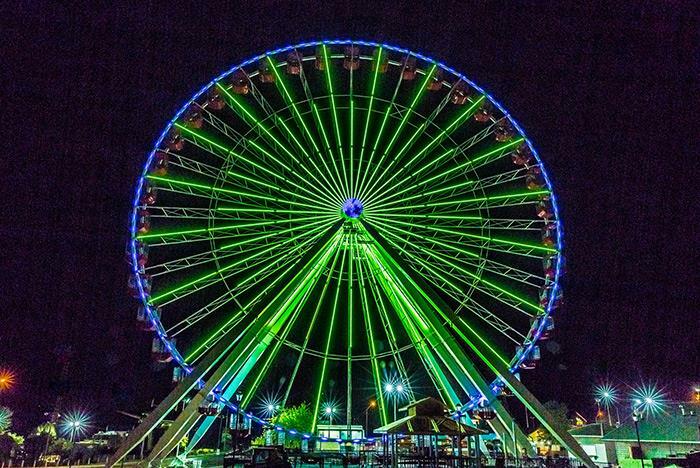 All are welcome to ride the Branson Ferris Wheel. 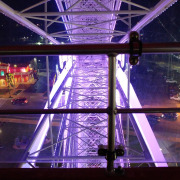 Each gondola can accommodate a maximum of six average weight and height adults. 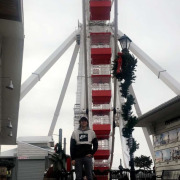 The gondolas can support 990 pounds of weight each. 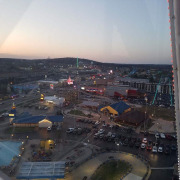 Can a crew member watch my children while I ride the Branson Ferris Wheel? No. 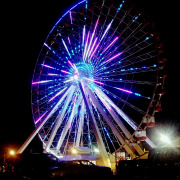 In order for our crew to safely operate all of the rides, they are unable to watch your children. 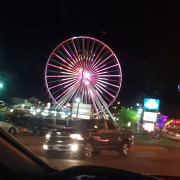 Is there an age limit for the Branson Ferris Wheel? No. 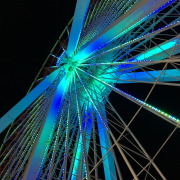 While we do not have an age limit, we do require there to be one adult ( at least 18 years of age) for every two children under the age of 12. 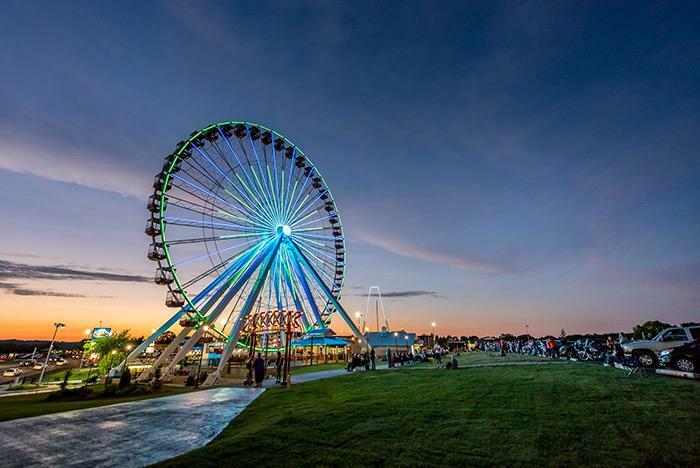 One rotation of the Ferris wheel is approximately 7.5 minutes long. 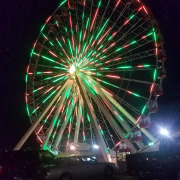 Can I take a pet on the Ferris wheel? 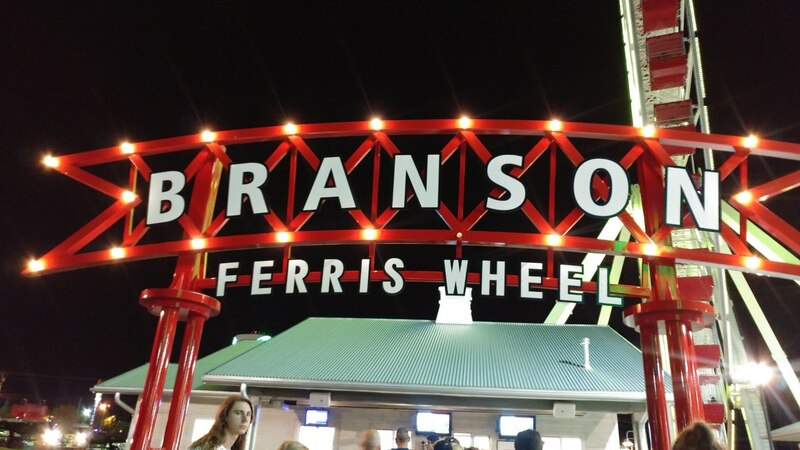 For safety reasons, no pets are allowed on the Branson Ferris Wheel. The only exception is for service animals, who may ride with their handlers. 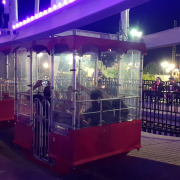 Do I have to share a gondola with other riders if our party does not fill up the entire space? 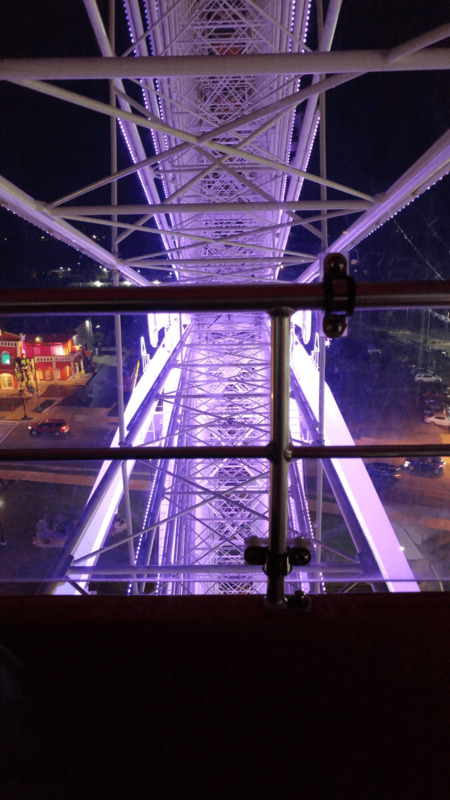 You do not have to share space with other people on the Ferris Wheel. 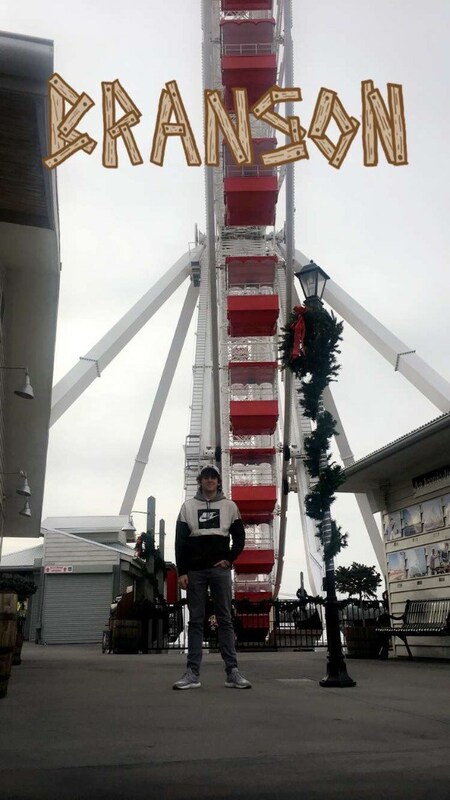 Since at least 2 riders are required per gondola, crew members may ask a group if they are comfortable with a single rider sharing their gondola, but you do not have to accept if you do not want to.